Jazz music – soft, invigorating, soothing, loud, sudden, lingering. You can’t put a label onto jazz because it’s many things to many people. The artists who create the music differ as much as the music does and when we lose another musician, we lose the potential of more of their work. 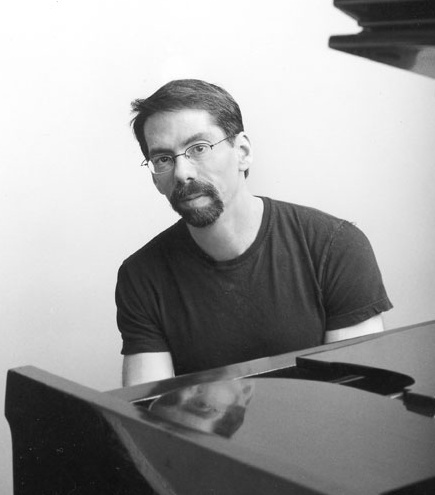 In 2008, we almost lost another artist, 54-year-old jazz pianist and composer Fred Hersch. Hersch, who has been living with HIV since the mid-1980s, had been relatively healthy until 2007, when he started feeling ill and then developed AIDS-related dementia. This started a period of intense illness involving long hospital stays. After fighting the illnesses that plagued him, life was starting to look up again. But not for long. Hersch developed pneumonia, which then caused sepsis and septic shock. (Sepsis and Pneumonia) Hersch fell into a coma that lasted for two months. He found out later that his survival had been a 50/50 proposition. Sepsis is the most common cause of death from AIDS (Sepsis and HIV/AIDS). During the period Hersch was in a coma, his kidneys stopped working and he required kidney dialysis to clean his blood of the toxins that build up every day. He couldn’t breathe on his own so he had a tracheostomy to allow a ventilator to breathe for him. And, when he came out of the coma, he was still a sick man. Hersch could not swallow nor could he speak above a whisper; his vocal chords were paralyzed. He could not walk. And, for a pianist, perhaps the worst effect left by the sepsis: he could no longer use his hands properly. He could not play the piano. Hersch underwent intensive rehabilitation and continued to progress, despite yet another serious setback in his health, a second pneumonia and a gallbladder infection. Because of his hard work, after eight months of receiving nourishment through a tube, Hersch was able to eat again. He began walking and talking again, and – best of all – he began playing the piano again. We don’t have to wonder when Hersch will perform again. He has started to tour again and has already been in the recording studio, and he continues to create. In fact, Hersch says there is something more to his music now, although he’s not quite sure what it is. Hersch tires easily, he takes his time and makes every effort to stay hydrated and as healthy as possible. He knows he came close to death, but he also realizes that he is here to do what he does best: play and teach jazz. To learn more about Fred Hersch and his music, this New York Times article, Giant Steps: The Survival of a Great Jazz Pianist, was published online on January 28, 2010 and in print on January 30, 2010. Hersch’s website has information on his work and upcoming tours.